ATPI is a global leader in travel management and booking technology for corporate, shipping and energy businesses with offices and network partners in over 100 locations worldwide. ATPI is one of the fastest growing global brands in the travel industry. They have a flexible service that understands the challenges in each sector and the broader economy, which allows them to focus on making travel bookings and logistics planning, straightforward and cost-effective. Implement an audio and visual technology compatible with all ATPI offices around the world. The new head office was the prime location for many of their senior directors travelling from all over the world. 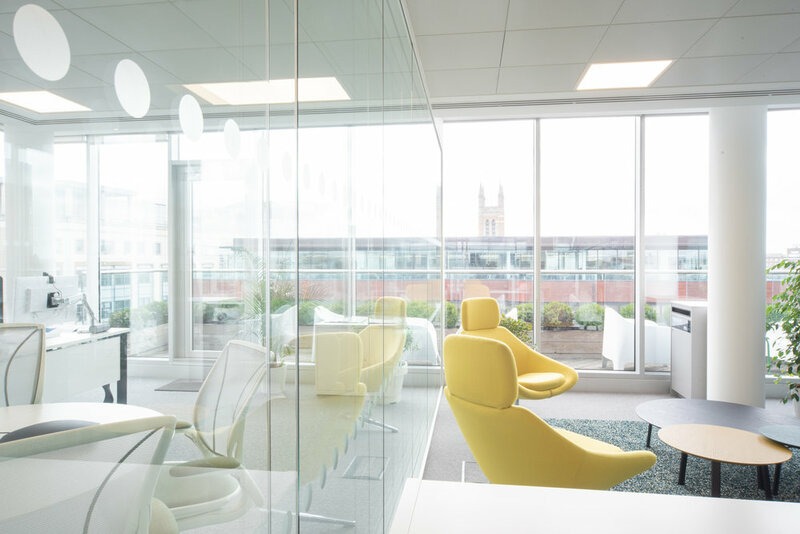 We designed and fitted a soft seating breakout area for informal meetings, a high-tech boardroom with a minimal kitchen area next to it and created private spaces for senior management staff. We included organic and warm autumnal colours to add a light effect throughout the office with final touches of white graze and woods. The task chairs had a residential green colour to make them practical and ergonomic. Every piece of furniture was designed to take into account its purpose and use. 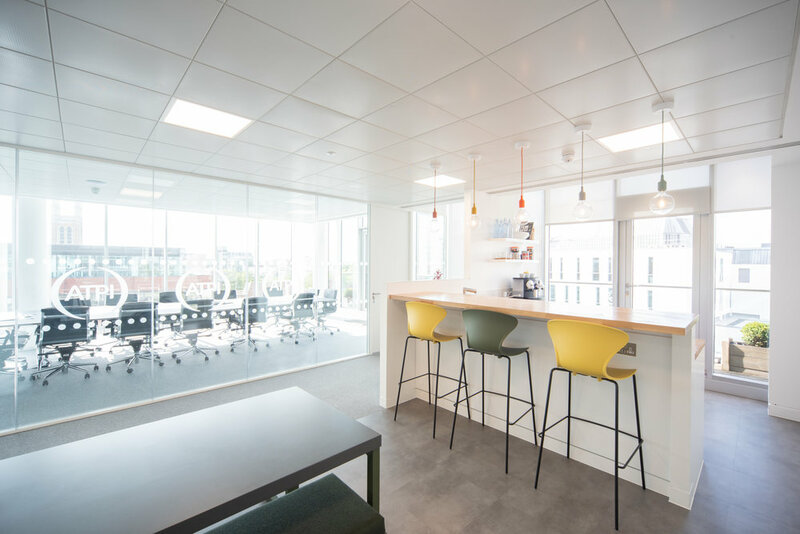 We created a sophisticated and warm office by blending in open-plan spaces and private meeting rooms without obstructing the natural light and overall space. We used transparent double glazing as separation walls that provided the much-needed privacy to senior members of the team. 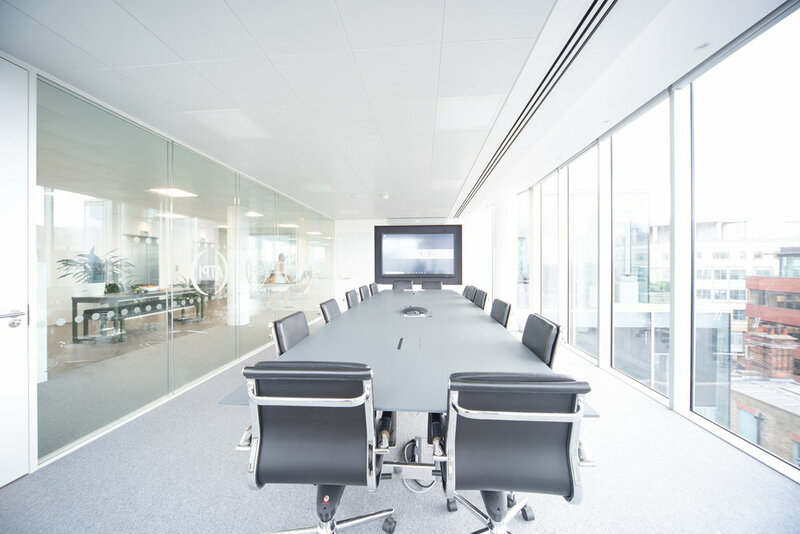 We also implemented an audio and video conference call system compatible with all of their offices. The team at ATPI are delighted with their new head office and so are we!